No. 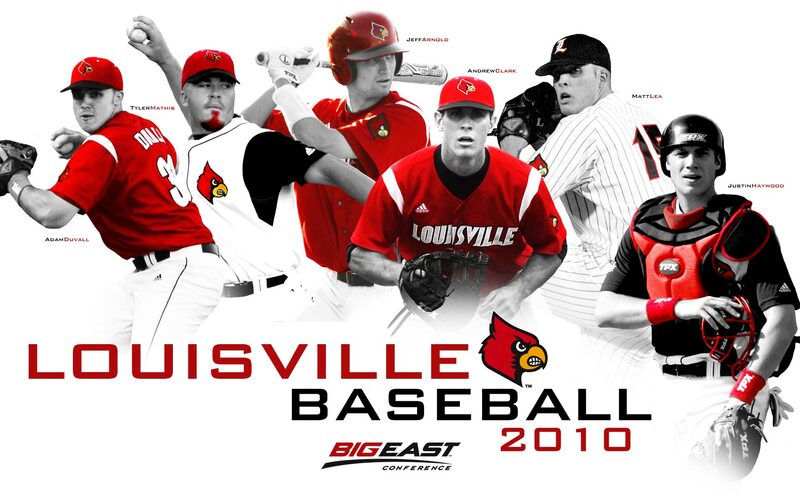 9 University of Louisville‘s elimination from the NCAA tournament was slightly overshadowed by the draft coverage here at BluGrass Baseball, but now it’s time to finish the season review series with a look at the Big East champion Cardinals. UofL finished the season at 50-14 and one win shy of a NCAA super regional. Hitter of the year: 2B Ryan Wright — The Cards had plenty of hitters to choose from for this honor, as evidenced by their six offensive draftees, but the award goes to the sophomore second baseman who wasn’t even eligible for the draft. Wright was second on the team in batting (.366) behind senior first baseman Andrew Clark (.370) but played in 11 more games than Clark. He led the team in RBI (80), hits (93) and triples (2) and ranked third in runs scored (61). Wright also stole 10 bases in 11 attempts. Pitcher of the year: RHP Thomas Royse — The Big East pitcher of the year was a shoe-in for this award as he lead the state in most major pitching categories. Royse, a third-supplemental round pick by the Chicago White Sox, finished the season at 9-1 with a 2.85 ERA and 99 strikeouts compared to 26 walks in 104 and one-third innings pitched. Opponents batted just .257 against Royse on the season. Season high point: Battling for the Big East Conference regular season title with Connecticut in the season’s final weekend, UofL outscored Notre Dame 23-6 in a series sweep to clinch the title. The Cards all but wrapped up a top eight national seed in the NCAA tournament with the conference championship. Season low point: The vaunted UofL offense picked the worst time to go cold as the Cards were held scoreless for a season-high 15 consecutive innings in back-to-back losses to Vanderbilt to be eliminated from the NCAA tournament. Even worse, the first loss came against soft-tossing lefty Richie Goodenow, who had made just one previous start for Vanderbilt before pitching a complete-game shutout against UofL. Micellaneous: The Cards had five batters, Phil Wunderlich (21), Wright (16), Stewart Ijames (14), Clark (13), Adam Duvall (12), reach double digits in home runs…Royse, Neil Holland, Duvall, Wunderlich, Josh Richmond, Clark, Jeff Arnold, Ijames, Dean Kiekhefer and Bob Revesz were each selected in the 2010 draft…Holland was among the country’s best relievers after saving 17 games and going 8-1 with a 2.08 ERA and .160 batting average against…Freshman right-handed starting pitchers Justin Amlung (5-2, 4.27) and Matt Koch (3-0, 3.27) performed admirably down the stretch, setting UofL up well for the 2011 season.